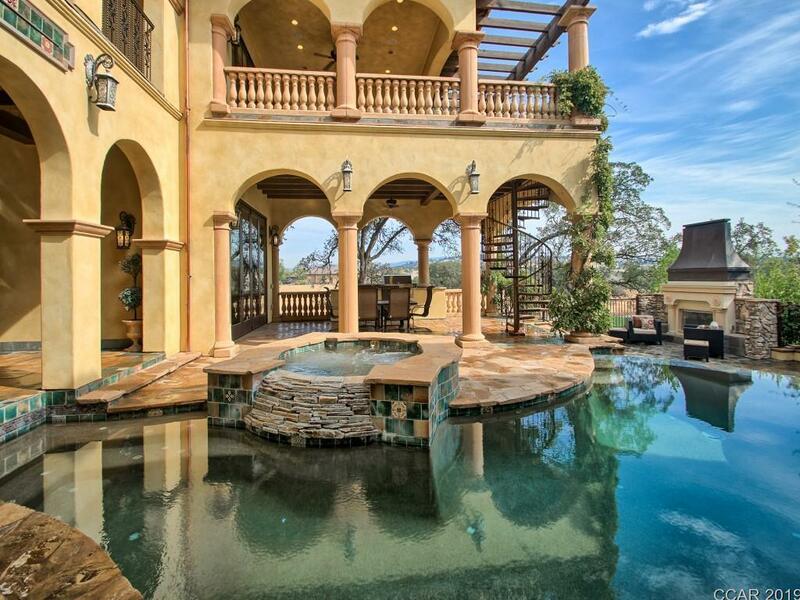 An architectural masterpiece, this Mediterranean villa offers the ultimate in resort style living. Nestled on the 8th hole of the prestigious Saddle Creek Golf Course, this spectacular U-shaped estate surrounds 3,363 sq.ft. of private outdoor patios with 6,045 sq.ft. of modern interior living. Features include a gourmet kitchen including 10 ft. bi-fold glass doors that completely open to the outdoor kitchenette/bbq area. Grand foyer, great room w/ fireplace, oversized master retreat w/ fireplace, media room, office, private guest suite, pool, spa, 2-story waterfall, outdoor shower, elevator, 2 laundry rooms, butler pantry, custom cabinetry, & 2 water fountains. Views of the golf course, Yosemite and rolling hills. This unparalleled estate is loaded w/ conveniences, view the tour 4 more. Directions: Hwy 4 To Little John Rd, Right On Little John Rd, Right At Saddle Creek Gate, Follow Saddle Creek Dr To Oak Creek Dr, Left On Oak Creek Dr, Right On Knolls Dr.